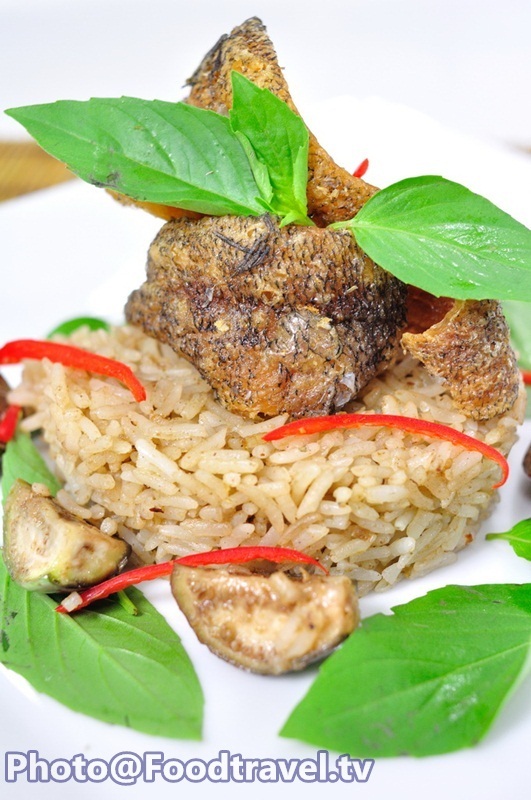 Fried Rice Green Curry with Fish - Fried Rice Green Curry with Fish is Thai fusion menu. Thai green curry paste is still one of ingredient which you can bring to make various menus. May be this menu will be your favorite dish. 1. Set the pan. Fry chilli paste in the pan and then add coconut milk to fry, add eggplant to fry together. Then scoop out eggplant and set aside. 2. 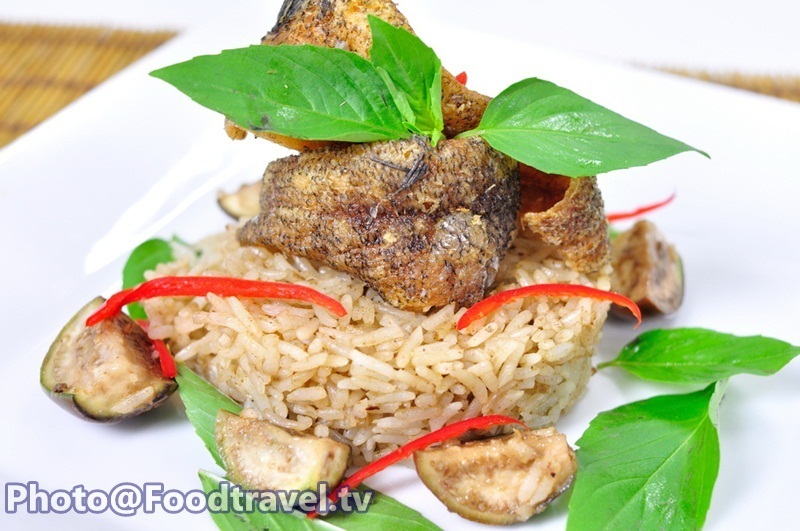 Add rice to fry with green curry. Season with fish sauce, sugar. Serving by sprinkle eggplant, basil, red goat pepper. And top with crispy fish at last.